From my Hong Kong trip in January this year. 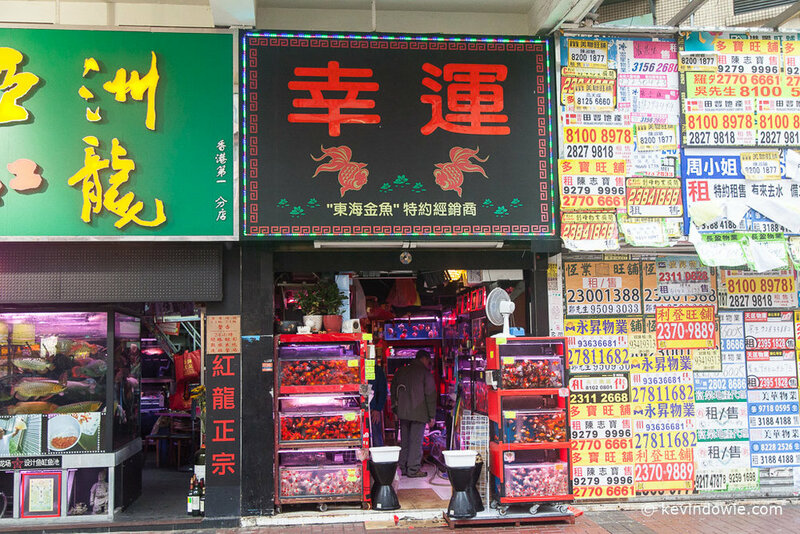 The Mong Kok area of Hong Kong is known for, among other things, being a centre for the sale of aquarium fish and associated supplies. 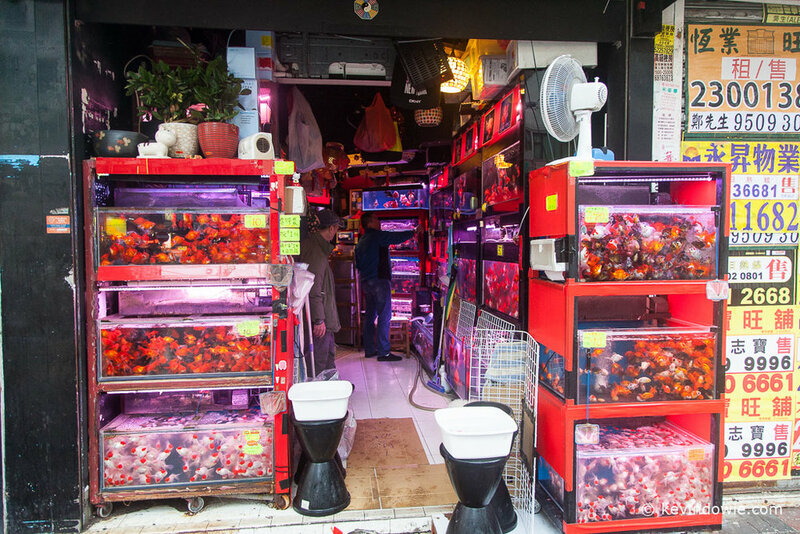 I found a street which was devoted almost entirely to the trade, some of the shops having quite elaborate tanks on display with fish of all sorts, colours, sizes, etc. Some store keepers were more sensitive to photography than others, so some discretion was called for when taking pictures, with many potentially interesting sights not being shot. Taking photographs within the shops was problematic due to fairly low light levels. This necessitated using high ISOs and slow shutter speeds. Obviously the images were captured handheld as using a tripod in a confined space with business being conducted and people moving about was not possible. In such circumstances, I found myself taking repeated shots and concentrating hard on keeping the camera as still as possible whilst releasing the shutter. Subject movement and associated movement blur is unavoidable, electronic flash is also impractical. 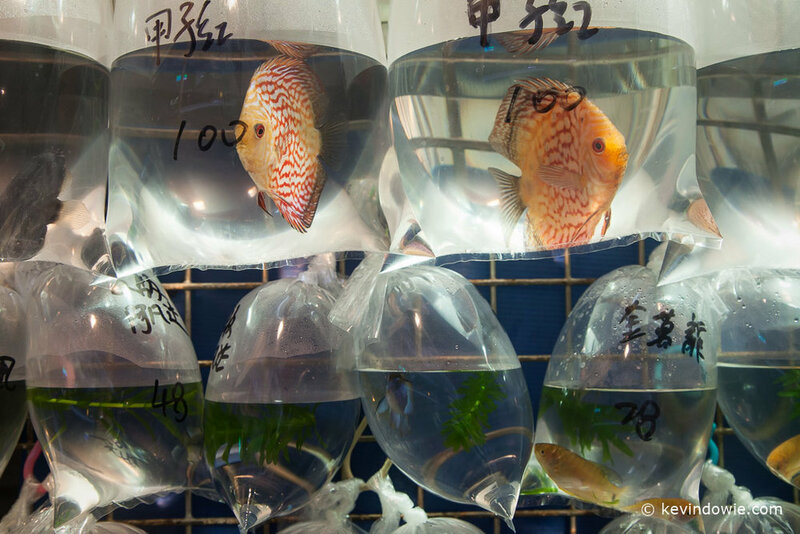 Many of the shops had fish in plastic bags on display and ready for sale. Compressed air was injected into the bags as they were sealed. 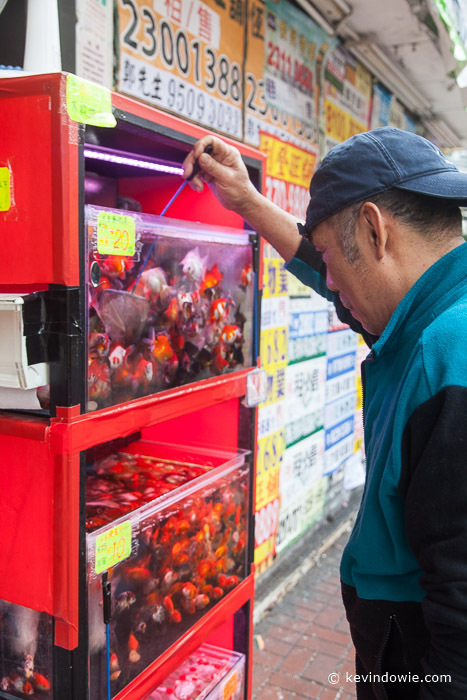 The impression I got was that the fish were in good health and tended quite well, obviously it's in the vendors interest to be so.